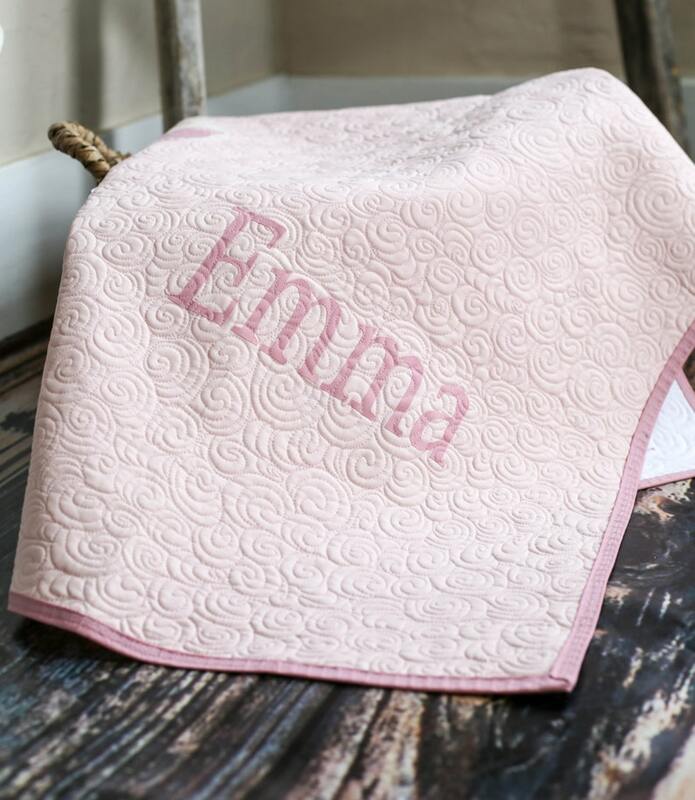 This Personalized, Modern Baby Quilt can be customized to your exact specifications. We will work together to design a one-of-kind masterpiece especially for your wonderful little someone! What makes the quilts I create special is all the quilting that I do on them. Each and every one of my quilts has my unique, extensive, modern quilting all over. You won't find that on many other quilts out there! Contact me now and we'll get started on making a one-of-a-kind quilt that will match your nursery décor and be a beautiful keepsake for you and your baby. Larger sizes available for an extra charge. 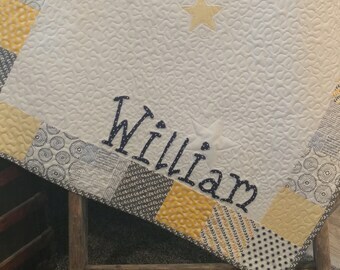 NOTE: This listing is for a custom, made-to-order baby quilt personalized to your request. 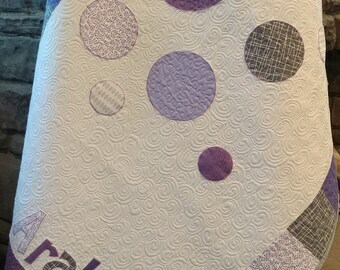 It is not for the exact quilt pictured. This is a beautiful, well-made quilt.Perfect gift! 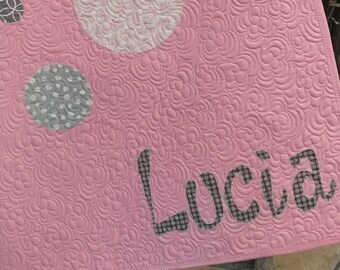 Chris did an amazing job on a quilt she designed for my niece. Her design and color choices were just what I was looking for. Thank you Chris! You are very talented and provide a high quality product and service! Simply put, the entire experience and end product is outstanding!!! I cannot recommend Chris enough! From beginning to end, Chris was an absolute delight to work with and always checked in to ensure she was capturing our ideas/vision for the quilt. Not being the most artistic person myself, I deferred to Chris expertise and she did not steer me wrong at all. 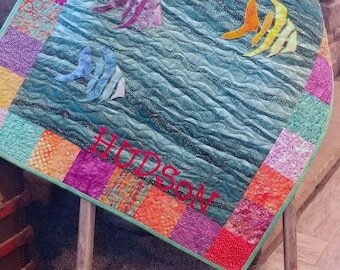 She created the most beautiful quilt and gift we could have imagined giving! 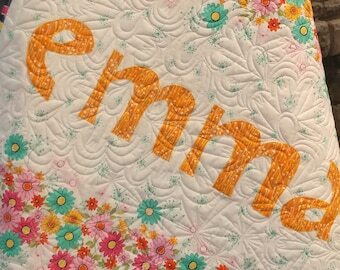 My sister-in-law was in awe when she opened up the quilt, as on top of the beautiful design, it was easy to see the amazingly skilled craftsmanship, quality, precision, time and effort that went into making this very special keepsake. We can't wait to work with Chris again! 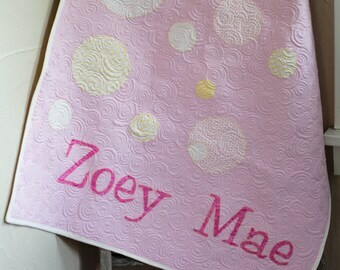 We love the quilt that Chris custom made for our baby girl. She worked with us to tailor it to our preferences and the detail is exquisite! You can also tell it’s very durable and isn’t going to fall apart. We can’t wait for her to use it! I would post a photo but can’t figure out how. How do I buy a customized quilt from you? Just send me an email telling me that you are interested in getting a quilt made and we will go from there! Will the custom quilt I get look just like the one in the picture? Nope! It will be unique. It will be made just for you with the options and colors that you and I discuss in our emails. No two of my quilts are the same. That's a maybe. It all depends on the difficulty level of your design. Some designs are easier to translate into a quilt than others. Email me and we'll figure it out! How long will it take for you to make the quilt? The actual "making of the quilt" doesn't really take me all that long...maybe a week or so. BUT, if I have other customer orders in line ahead of yours, you may have to wait up to 5 weeks to get yours. Simply use this code at checkout!